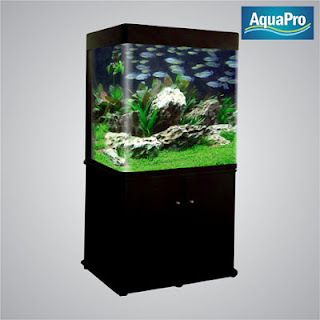 Professionally designed tank with super bright light sets installed. Tank glass is made toughened by high temperature heating. Available in different design and sizes to suit all aquatic needs. 2 lamp fitting with flip over view. Aquapro V5-RHE 60 available in 2 colors. Black and white.